Clements, Margaret M.; Ni, Chaoqun; Duan, Kun; Wang, Ying; Sun, Yuyin (forthcoming 2011). Visualizing dynamic corporate practies in the telecoommunications patent space: Global standards and essential declarations. In J. Tait, M. Lupu and K. Mayer, (Eds.). Current Challenges in Patent Information Retrieval. Dordrecht: Springer. Abstract: The European Telecommunications Standards Institute (ETSI) seeks to eliminate barriers to innovation by establishing global standards for Information and Communications Technologies (ICT). As a non-profit organization, ETSI is comprised of 766 organizations from 63 countries. Between 1995 and February, 2010, approximately 23,160 patents had been declared to ETSI as essential. Visualisation Science aims to improve the information decision ability of human beings by transforming data into more perceivable formats. Inventors, industry leaders, policy makers and patent analysts can employ visualisation methodologies to improve their efficiency and intelligence in managing and interpreting patent portfolios. This chapter presents different approaches and techniques to detect and visualise activity bursts in essential patent declarations to ETSI. Telecommunications technologies are visualised in terms of project information, geography, time, and citation strength using different visualisation tools. Alcantara, Armando and Clements, Margaret M., (2009). Intellectual property and the cultural aspects of collaboration: Comparisons between Mexico and the United States. In J. Zajda & Val Rust (Eds.). 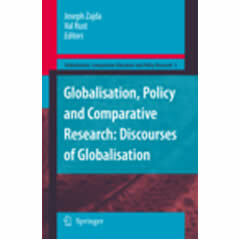 Globalisation, Policy and Comparative Research: Discourses of Globalisation, Vol. 5 . Dordrecht: Springer. Abstract: Institutions of higher education, particularly in the developing world, increasingly look to other countries to develop, through research collaboration, new technologies that contribute to knowledge and institutional development as well as increase revenues. Furthermore, the pressures and benefits of a global economy have motivated the expansion of international research alliances. However, these alliances are frequently constructed between unequal partners in terms of both intellectual and material resources. This disequilibrium ultimately reinforces the social construction of marginality because dependency on scientific and technological resources is cultivated through these relationships (Alcantara, 2001a). This chapter explores issues concerning intellectual property as well as the international and institutional aspects of university collaboration on research and technology transfers between Mexico and the United States (U.S.). Arnove, Robert F. and Clements, Margaret M. (2004). Education and international issues of social mobility of underprivileged groups. In J.W. Guthrie (Ed. 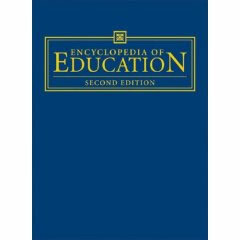 ), Encyclopedia of Education. Abstract: Children of lower socioeconomic status (SES) groups tend to perform worse in school than upper SES groups, and they tend to stay in school for a shorter time. In addition, these children tend to be underrepresented in higher education. These patterns exist regardless of region of world, sociopolitical system, and level of economic development of a country. This article examines the universality of these observations. It also discusses exceptions to these general tendencies and promising interventions that enable children of lower socioeconomic groups to overcome barriers to progress in school. 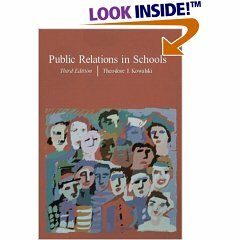 Abstract: Increasingly, senior school administrators are finding that they confront two different sets of beliefs about schools when they enter the public forum: the opinions about education held by most educators are increasingly divergent from the opinions about education held by the citizens in their communities, including parents (Ridenour & St. John, in press). During the 1990s, there was a shift in public opinion, altering the old consensus about the value of public education. Indeed, during most of the twentieth century, there was a high level of congruence between the beliefs of most citizens about the value of a common public education and the beliefs of most educators. Most teachers were attracted to their profession out of its social orientation (Smart, 1989) and there was a broad consensus about the value of public education. However, with the emergence of major initiatives for charter schools and other school-choice schemes in the past two decades, the old value of a common public system of schooling may no longer be a goal of the general public. Although taxpayers appear to be shifting toward a position of limited support for public schools, educators expect unqualified support. St. John, E.P., and Clements, Margaret M. (2000). Public opinions and political contexts, in T. Kowalski (Ed. 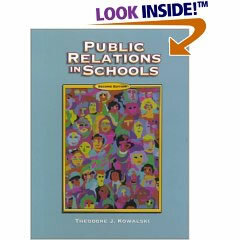 ), Public Relations in Schools, pp. 46-66 (2nd ed.). Upper Saddle River, NJ: Pearson Merrill Prentice-Hall. Abstract: This chapter examines the interrelationship between public opinion and the policy context for educational improvement and reform. First, it reveiws trends in public opinions about education policy issues and compares them to educators' opinions about similar issues. Then, it examines how the context for education policy decisions has changed over the past few decades. Next, it considers different ways of viewing the interrelationship between public opinion and policy decisions within school districts and school buildings. Finally, it concludes with a case study about how an urban school district has contended with a new set of state and local policy initiatives. All these issues help to place public relations in the context of current political conditions.